Made with heavily peated barley, this Peat Smoke is more intense than the subtle smoke of the 10 years old yet it retains the Benromach fingerprint of elegant fruitiness with the gorgeous hint of chocolate. Made with heavily peated barley, this Peat Smoke is more intense than the subtle smoke of the 10 years old yet it retains the Benromach fingerprint of elegant fruitiness with the gorgeous hint of chocolate. 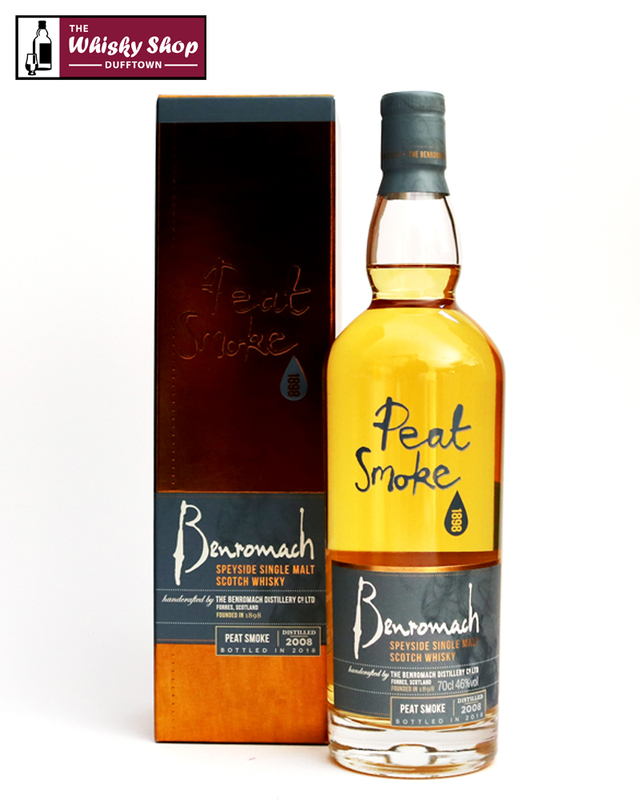 Benromach Peat Smoke has been matured in 1st fill bourbon barrels and peated to 47ppm. This expression was bottled in 2018. Distillery: Sweet vanilla with honey and cured meat aromas. Hints of apricot and lemon combine with a subtle tobacco note. With water - A delicate smokiness combines with lemon, honey and vanilla aromas. Hints of apricot and sugared almonds develop. Distillery: Cracked pepper with sweet strawberry and orange flavours. A delicate hint of aniseed combines with a lingering bonfire embers edge. With water - Fruit flavours initially with cooked apple, pear and grapefruit. A slight trace of cocoa powder with lingering cigar ash edge.